The picturesque land of Bosnia and Herzegovina is located in the heart of Southeastern Europe and this is an excellent starting point for exploration of the whole region. Filled with green landscapes, high mountains and historical sites, these are just some of the things which this country has to offer. Sarajevo, capital of Bosnia and Herzegovina, is a compact city on the Miljacka River, surrounded by the Dinaric Alps. 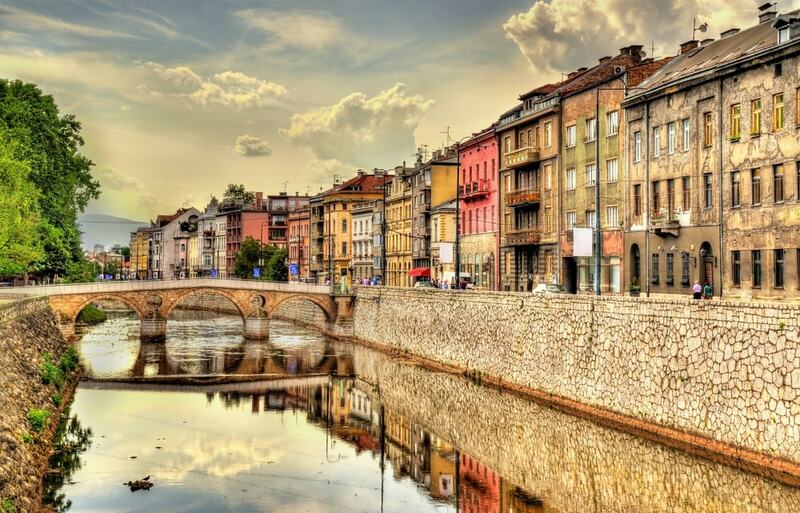 Its center has museums commemorating local history, including Sarajevo 1878â€“1918, which covers the 1914 assassination of Archduke Franz Ferdinand, an event that sparked World War I. Landmarks of the old quarter, BaÅ¡ÄarÅ¡ija, include the Ottoman-era Gazi Husrev-bey Mosque. Mostar is a city in southern Bosnia and Herzegovina, straddling the Neretva River. 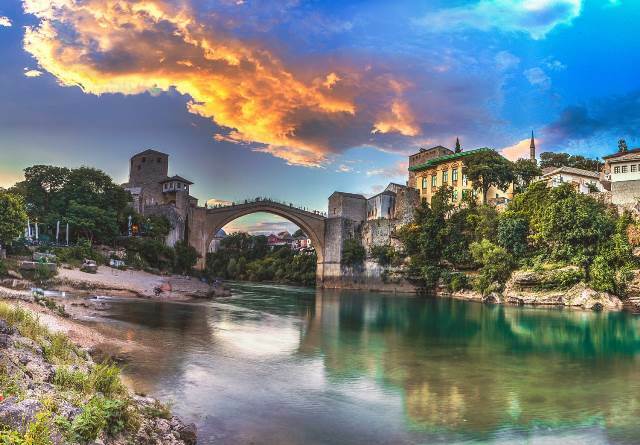 Itâ€™s known for the iconic Stari Most (Old Bridge), a reconstructed medieval arched bridge. The nearby alleys are full of shops and market stalls, and the Old Bridge Museum explores the bridgeâ€™s long history. A narrow staircase leads up to the Koski Mehmed-Pasha Mosqueâ€™s minaret for panoramic city views. 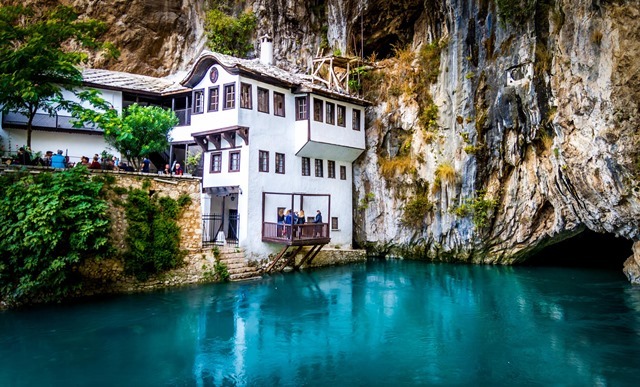 One of the magical places that take us back to the past is Blagaj, situated only 12 km away from Mostar. The small and magical village of Blagaj is located on the river Buna. The Buna spring is one of the largest and most beautiful springs in Europe and probably the best example of underground karst river. The beautiful scenery and rich history had been home of dervish house which is one of the most important monuments from the period of early Ottoman culture in Bosnia and Herzegovina. The Dervishes are known for their special rituals performed and are still performed â€“Â zikir (praise to God). The Turkish sultan was delighted with Buna and so he ordered to build Tekke, the monastery of dervishes. 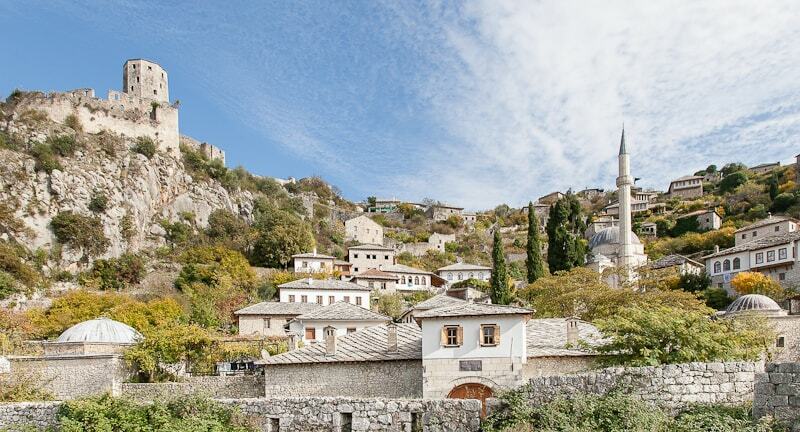 The historic town of PoÄitelj which is located on the left bank of the river Neretva, on the main Mostar to MetkoviÄ‡ road, to the south of Mostar, in the territory of ÄŒapljina Municipality. Back in the the middle ages, PoÄitelj was centre of governance and its westernmost point, which gave it major strategic importance.Â It is supposed that the fortified town and its attendant settlements were built by Bosniaâ€™s King Stjepan Tvrtko I in 1383. The walled town of PoÄitelj evolved over the period from the sixteenth to the eighteenth centuries. Architecturally, the surviving stone-built parts of the town are a fortified complex, in which two stages of evolution may be observed: mediaeval, and Ottoman. MeÄ‘ugorje is a town located in the Herzegovina region of Bosnia and Herzegovina, around 25 km (16 mi) southwest of Mostar and close to the border of Croatia. The town is part of the municipality of ÄŒitluk. 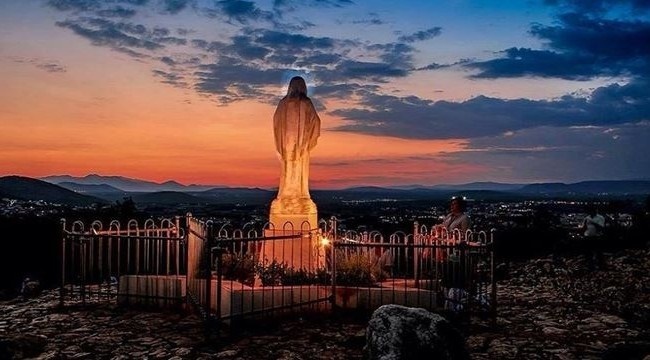 Since 1981, it has become a popular site of Catholic pilgrimage due to reports of alleged apparitions of the Virgin Mary to six local children. Trip Advisor-What is the advantage of using TripAdvisor?